We offer the right location, plenty of available land, a pro-business administration and a well-run municipal government. Our long-range water supply is the envy of surrounding communities. And our population is just the right size, offering highly desirable demographic rankings, including both an educated workforce and affluent consumers who want to work, live and shop close to home. Here’s a quick look at the variety of incentives available to eligible businesses. Businesses involved in the export of tangible property such as goods, wares, and merchandise may be eligible for the Freeport exemption. This incentive exempts some of a company’s entire inventory from property taxes. To be eligible, property must be assembled, stored, manufactured or fabricated locally and then exported out of Texas within 175 days after the property was acquired or imported into Texas. This exemption has been approved by Travis County, the City of Pflugerville, and the Pflugerville Independent School District. Infrastructure Development Program – This program promotes economic development by providing financial incentives to assist businesses wishing to locate or expand. Funds may be used for construction or improvements of public infrastructure on utilities (water, sewer, roads, etc.). Minimum and maximum awards are $50,000 and $750,000, respectively, and are based on the number of eligible jobs created, and may not exceed 50 percent of the total project cost. Real Estate Development Program – This program promotes economic development by providing financial incentives to assist businesses wishing to locate or expand. Funds may be used to acquire, construct, or rehabilitate real estate to support an entity willing to commit to creating or retaining permanent. Minimum and maximum awards are $50,000 and $750,000, respectively, and are based on the number of eligible jobs created, and may not exceed 50 percent of the total project cost. Chapter 380 of the Local Government Code provides legislative authority for Texas municipalities to provide a grant or a loan of city funds or services in order to promote economic development. Cities have utilized the provisions under this law to provide a wide array of incentives that have drawn businesses and industries to locales throughout Texas. This statute basically provides for loans and grants of city funds, as well as the use of city staff, city facilities, or city services at minimal or no charge. Whether a city provides any such incentive is completely discretionary. The provision of grants and loans should be used with caution and with attention to necessary safeguards. TIF is a tool that local governments can use to publicly finance needed structural improvements and enhanced infrastructure within a defined area. These improvements usually are undertaken to promote the viability of existing businesses and to attract new commercial enterprises to the area. The statutes governing TIF are located in Chapter 311 of the Texas Tax Code. The cost of improvements to the area is repaid by the contribution of future tax revenues by each taxing unit that levies taxes against the property. Specifically, each taxing unit can chose to dedicate all, a portion of, or none of the tax revenue that is attributable to the increase in property values due to the improvements within the reinvestment zone. The additional tax revenue that is received from the affected properties is referred to as the tax increment. Each taxing unit determines what percentage of its tax increment, if any, it will commit to repayment of the cost of financing the public improvements. TIF may be initiated only by a city. If a property is located outside of the city limits (within the city’s extraterritorial jurisdiction or beyond), it is not eligible for TIF. Once a city has initiated TIF, counties, school districts, and special districts are allowed to consider participating in the TIF agreement. Property tax phase-in is used to promote and retain high quality development in all parts of the city. The City of Pflugerville offers tax abatement for new commercial or industrial business construction, or facility expansion, as well as business personal property tax associated with real property. Pflugerville has an expedited development review process designated to facilitate a fast track approach to permitting and inspections. The criteria for determining which projects qualify for an economic development impact fee exemption include the number and quality of jobs the project will generate and maintain, the ad-valorem taxes the project will generate, community impacts, the longevity and creditworthiness of the company, and whether local facilities will be leased or owned. The determination for the waiver will be determined on a case-by-case basis, to new or expanding businesses engaged in (a) warehouse development, (b) manufacturing, (c) distribution, (d) technology, (e) research and development, and (f) large-scale office. Foreign Trade Zone (FTZ) is a geographic area within the U.S. where foreign and domestic merchandise are considered to be within the realm of international commerce and as such, not within U.S. Customs territory. Any foreign or domestic merchandise not otherwise prohibited by law may be stored in a FTZ for an unlimited period of time. This allows merchandise to be stored duty-free indefinitely while waiting for receptive markets and favorable sales opportunities. The City of Pflugerville will assist companies locating or expanding in Pflugerville in securing state provided job training assistance.  The State of Texas, through the Texas Workforce Commission, offers the Skills Development Fund to finance customized job training for local businesses that is provided by public community and technical colleges. Area municipal utilities and cooperatives may offer financial incentives to qualifying customers. These economic development riders and business incentive plans are designed to encourage industrial and commercial development by providing additional start-up cost savings to large users of natural gas and electricity.